'Tis the season to rediscover some of our favorite Christmas movies and TV specials from the '80s. I've tracked down many I remember growing up with and also a few that missed me entirely. 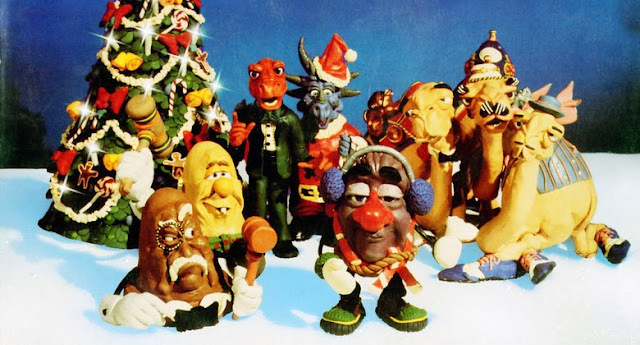 I've embedded a couple below that I found on DailyMotion including Christmas Comes to Pac-Land and one of my personal favorites Will Vinton's Claymation Christmas Celebration. I've also compiled a lengthy YouTube playlist of animated and live-action specials, movies, and TV episodes including He-man/She-Ra, Cabbage Patch Kids, Muppets, Inspector Gadget, Ziggy, Berenstain Bears, Pound Puppies, and Teenage Mutant Ninja Turtles. TV episodes include Punky Brewster, Silver Spoons, Benson, Facts of Life. Movies include Prancer, A Christmas Without Snow, and The Waltons Christmas Movie. Be sure to connect with the RD80s YouTube channel and save the playlist for future viewing. It's my present to all my followers that you can open early and watch right up to Christmas day! I bid you all the merriest of Christmas seasons and a Happy New Year!